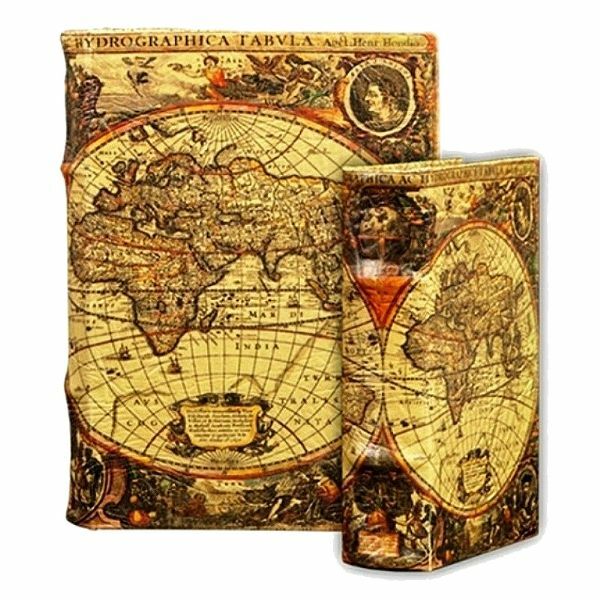 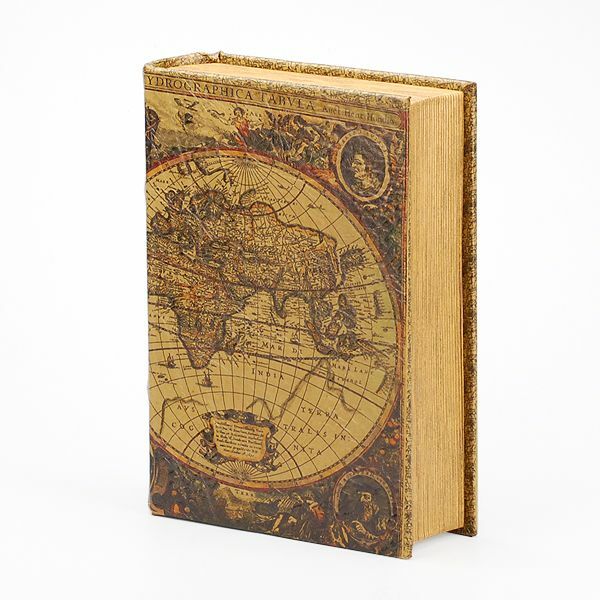 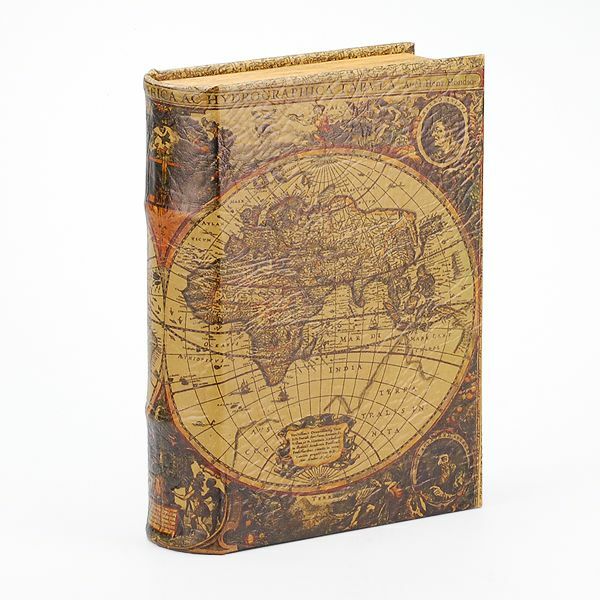 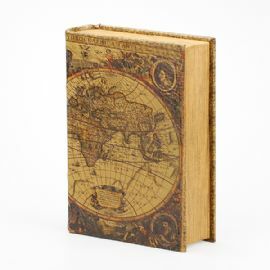 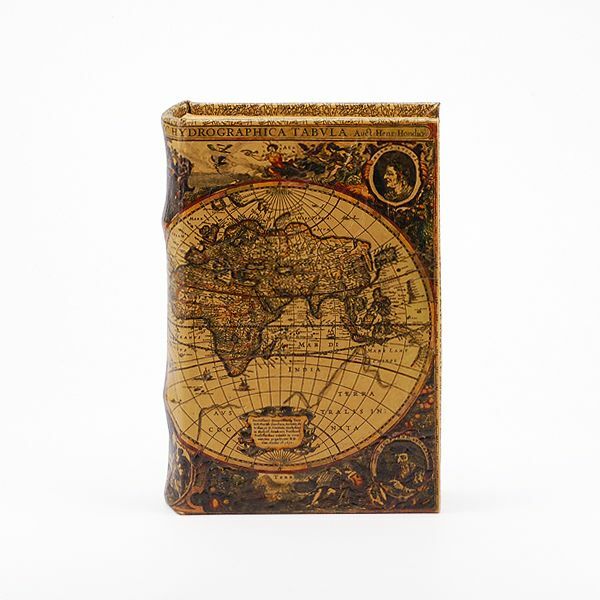 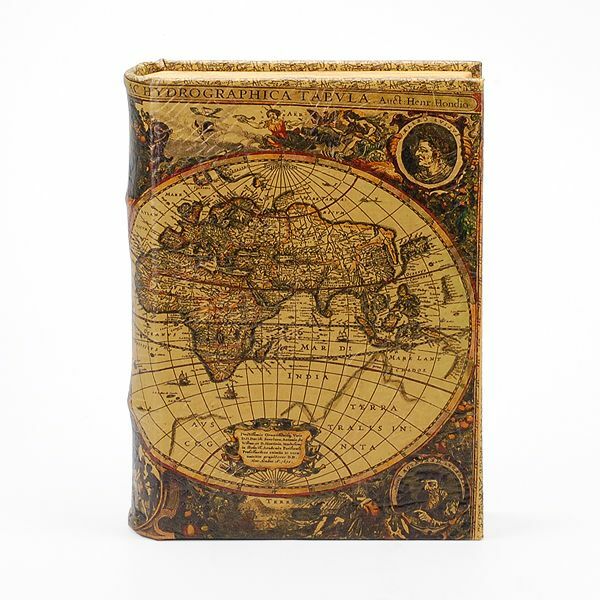 The Old World Map book statuary keepsake cremation urn and memento box has the appearance of an authentic leather-bound literary classic. 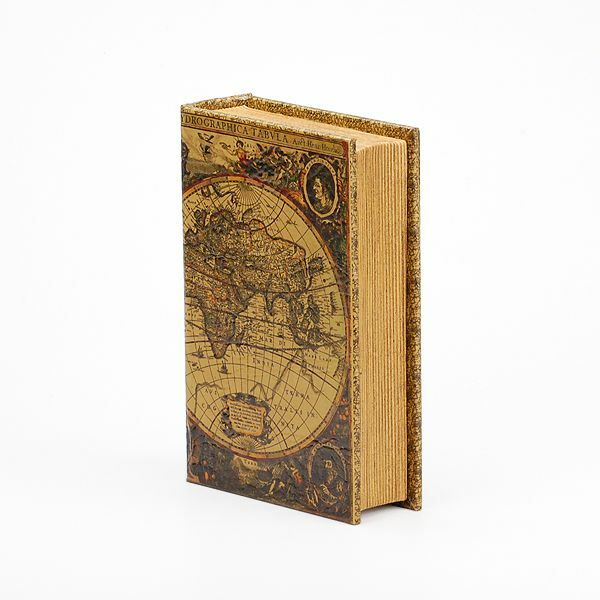 It opens from the front cover and has a magnetic closure. 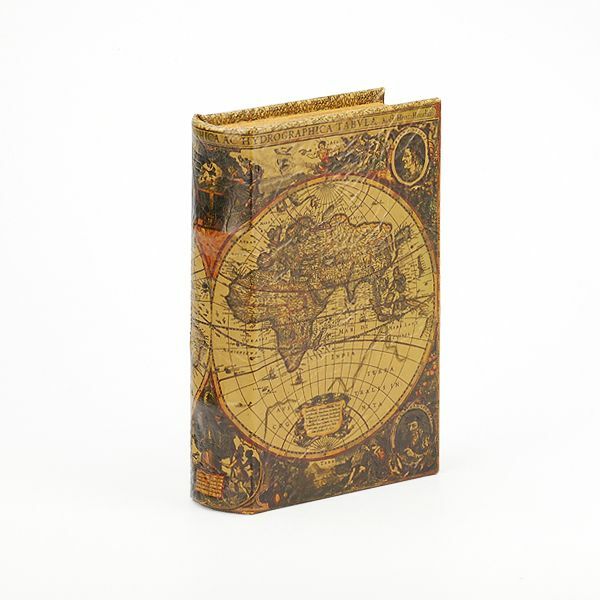 The inside is lined with a felt material. 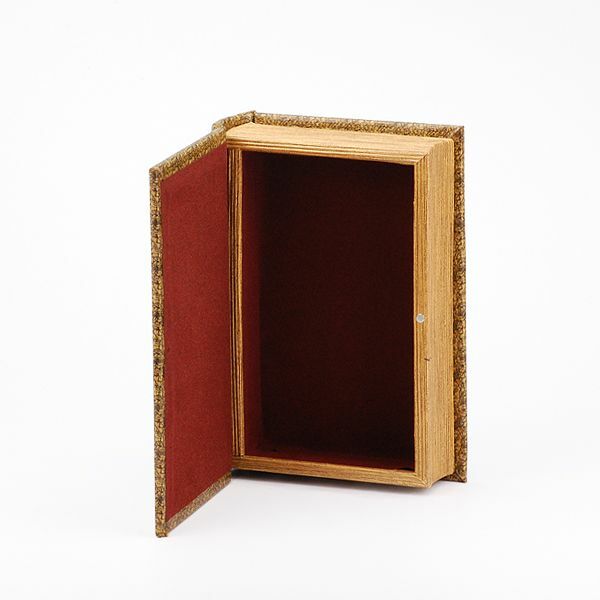 We recommend against putting loose cremated remains directly inside this urn. 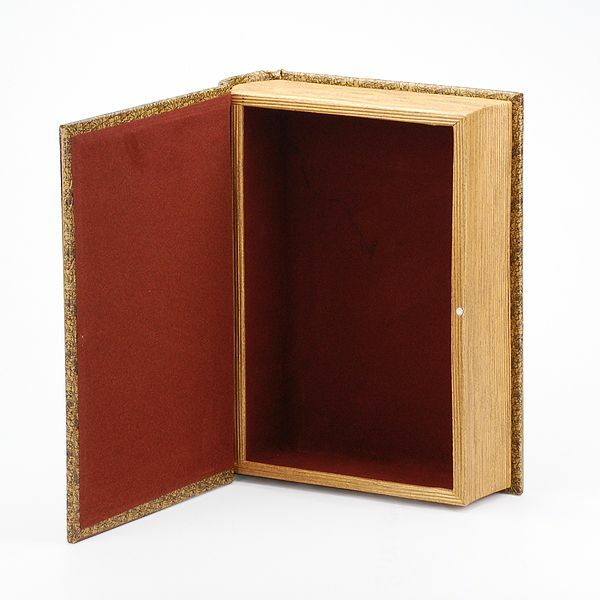 Instead, the ashes should first be placed inside a container or bag (not included).